Now that we've seen the trailer for Taylor Lautner's first starring vehicle Abduction, it seems entirely fair to call it "Baby Bourne." It's a story about someone who discovers he's a spy and goes on the run to find out the truth, starring a handsome actor with (presumably) enough charisma to keep us along on the journey. Lautner's a long way from the next Matt Damon but Abduction is sure as hell gonna try to get him there; if you want any more proof, check out the new poster that premiered at Just Jared. Featuring nothing but Lautner's face in high contrast black and white, it says pretty much one thing: "Taylor Lautner is handsome and tough." I actually admire the simplicity of it, as well as the ballsy assumption that Lautner is a big enough movie star to sell a movie based on his mug alone, but the Twilight money and fervent members of "Team Jacob" don't lie. 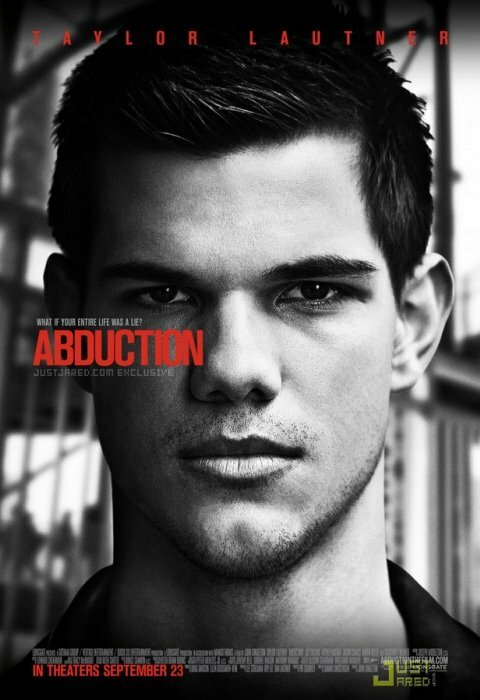 Abduction opens September 23, and if the people behind it have their way, it'll be just the beginning of Taylor Lautner's reign as an action hero for a new generation. Deal with that news as you will.